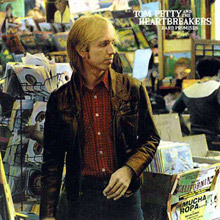 Formed in Gainesville, Florida by a bunch of high school and college friends Tom Petty and the Heartbreakers were viewed initially as a Southern Rock group, which of course they are, but they have so many other facets – from country to power pop – that they fit into the bracket of American heartland music. Like Bruce Springsteen and the E Street Band, Petty’s Heartbreakers represent integrity and a unity that fuses quality with commercial acclaim. Blue collar issues occur in their work but then so do straight ahead love songs, ecstatic rock ensemble playing and rustic concepts. It also should be remembered that their biggest early success was in the UK where their self-titled debut album Tom Petty and the Heartbreakers and attendant single ‘American Girl’ won them both a dedicated cult following and the approbation of the more serious members of the new wave movement, Elvis Costello being the obvious example. Along the way Petty and his boys have sold over 80 million albums and become well known in their own right as specialist players for others – they’ve backed Bob Dylan, Johnny Cash and Del Shannon – while Tom is a member of the Traveling Wilbury’s and maintains close working relationships with Jeff Lynne and Roger McGuinn of the Byrds. Their road to stardom has been punctuated by notorious battles over album pricing, FM radio formatting and label ownership but despite a readiness to rock the boat they have also garnered numerous prestigious awards, three Grammies amongst them, and play live shows that are always SRO and offer stupendous value for money. Their transition from a small time bar band to an American institution is remarkable yet they tend to steer clear of stadium shows if possible and are a byword for everything that is classic and noble about rock and roll music in the 20th and 21st centuries. Tom Petty, his songs, voice and guitar were always the focal point for the Heartbreakers but his first proper group Mudcrutch also included lead guitarist Mike Campbell and keyboards player Benmont Tench, and they would become his longest serving allies. Having released a locally available single called ‘Depot Street’ on the Shelter label Petty and pals relocated to Los Angeles in search of their grail. Label manager and band mentor Denny Cordell produced the album Tom Petty and the Heartbreakers in his Hollywood studio with Petty, Campbell and Tench ever present and fellow Floridians Stan Lynch (drums) and Ron Blair (bass) forging the rhythm section. Even so Cordell used specialist musicians on some cuts so you’ll find the legendary Donald ‘Duck’ Dunn and Jim Gordon cropping up as well as kindred Shelter spirits Dwight Twilley and Phil Seymour. A brilliant beginning this recording includes tracks that would define them from the outset – ‘American Girl’, ‘Anything That’s Rock’,’ Roll’ and ‘Breakdown’. These remain FM standards. Despite great reviews the album was a slow-burner but would eventually go Gold. The follow-up, You’re Gonna Get It! was similarly accomplished and exuberant – ‘I Need To Know’ and ‘Listen to her Heart’ displayed an ongoing ability to meld passion, drama and urgency at a time when much US rock was viewed as dull and stodgy. Damn the Torpedoes (1976) saw a shift to Backstreet Records and a higher profile all round. Despite the first of his numerous run-ins with the industry Torpedoes smashed the charts (only Pink Floyd’s The Wall kept them from the top spot) and was graced with a string of excellent songs: ‘Don’t Do Me Like That’, ‘Refugee’ and ‘Here Comes My Girl’ pushing the buttons. The original is superb enough but we also have the Deluxe Edition and the Remastered version, including unreleased demos and live tracks taken from a London show in 1980 where the band were greeted as one of our own. Hard Promises and Long After Dark saw the Heartbreakers established as one of the most vibrant acts on the planet. The former features a stunning duet with Fleetwood Mac’s Stevie Nicks on ‘Insider’, which figures as a kind of Southern gothic Everly Brothers piece and emphasises the harmony expertise the entire group were striving for. If it was Petty’s name on the tin it was also a fact that his fellow members demanded attention. Campbell’s guitar playing and Tench’s prowess on organ and piano lend a style and cohesion not heard since Little Feat were in their pomp. Other tracks like ‘The Waiting’ – a typically splendid Petty drawl – and the dynamic tempo changes of ‘A Woman in Love (It’s Not Me)’ have a personal intensity that sees Petty adding autobiography to his palette, though he’d be reticent to provide further detail. Long After Dark maintained a profitable relationship with producer Jimmy Iovine and find TP and the Heartbreakers dabbling in synths although ‘You Got Lucky’ and ‘Change of Heart’ never lose sight of the original template. Southern Accents and Pack up the Plantation: Live! (both 1985) can be viewed as two sides of the same coin. Initially envisaged, as a double concept album Southern Accents is a conscious attempt to revisit a more soulful country idyll. Featuring contributions from various members of The Band, strings arranger Jack Nitzsche and noted R&B backing singers the Waters Sisters this album strides toward classic status from the opening ‘Rebels’ and the mega hit ‘ ‘Don’t Come Around Here No More’. The Plantation disc is delightful. Amongst the Heartbreakers own standards are gorgeous covers of The Byrds’ ‘So You Want to Be a Rock’n’Roll Star’, the Phil Spector era ‘Needles and Pins’) a nod towards British Merseybeat maestros The Searchers), the Isley Brothers’ ‘Shout’ and John Sebastian’s ‘Stories We Could Tell’, their favoured final song before the encores. Incidentally, we also have a triple collection of the Torpedos/Promses/Accents discs to hurtle you towards Heartbreaker high. After the Let Me Up (I’ve Had Enough) disc Tom Petty embarks on his first solo album, Full Moon Fever although most of the Heartbreakers figure and Mike Campbell is co-producer with Jeff Lynne and the artist. By now the Petty name was so well known that he could do little wrong and the disc went 5x Platinum. A lovely, low-key affair this, stand out tracks are many but try the euphoric ‘Free Fallin’’ and ‘Runnin’ Down a Dream’ or the pleasingly acerbic ‘I Won’t Back Down’ for proof that Petty hasn’t lost his mojo and has actually upped his game again. Suitably energised Top Petty and the Heartbreakers reconvene in earnest on the classic Into The Great Wide Open, probably the most full realised and consistent rock album of 1991 – certainly it indicates that what Neil Young refers to as the black hole of the 1980s has disappeared. The singles ‘Learnin’ To Fly and ‘Out In The Cold’ will both hit the number one slot while the video for the title track features Johnny Depp when he is still attempting to become a teenage rock star in Los Angeles. The whole thing is an essential part of the canon. The long-overdue Greatest Hits achieves a monumental significance in Heartbreakers history by becoming their biggest selling album to date – a 10xPlatinum monster. Quite apart from all the hits you’d expect to hear there are delightful surprises like their version of Thunderclap Newman’s ‘Something in the Air’ and new song ‘Mary Jane’s Last Dance’ (produced with Rick Rubin) that will become an FM staple in its own right. For further listening The Live Anthology (2009) is a 4-CD box set featuring songs taken from concerts between 1976 and 2007. This is simply glorious: a sprawling, life-affirming collection that includes everything from a version of The Grateful Dead’s ‘Friend of the Devil’ and Van Morrison’s ‘Mystic Eyes’ to a playful ‘Goldfinger’, a show stopping R&B assault on ‘Good, Good Lovin’’ and staggering blues trips around ‘I’m A Man’ and Peter Green’s ‘Oh Well’. The feeling throughout is that Tom Petty and the Heartbreakers have earned the right to stand proud next to their heroes and have become a part of the tradition and legacy of this musi8c we hold so dear. If all the above weren’t enough to prove that Tom Petty is a walking legend he’s even appeared in The Simpsons and several episodes of It’s Garry Shandling’s Show and The Larry Sanders Show, displaying customary cool and wit. This is one of the last great rock and roll bands. Cherish them and dig in deep. 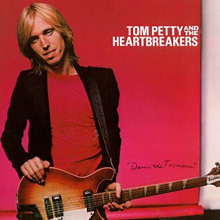 Damn the Torpedoes is the third album by Tom Petty and the Heartbreakers, released in 1979. This was the first of three Petty albums originally released by the Backstreet Records label, distributed by MCA Records. It built on the commercial success and critical acclaim of his two previous albums and peaked at #2 on the Billboard 200 album chart. In 2003, the album was ranked number 313 on Rolling Stone magazine's list of the 500 greatest albums of all time. Hard Promises is the fourth album by Tom Petty and the Heartbreakers released in May, 1981. Its original working title was Benmont's Revenge, referring to the band's keyboard player, Benmont Tench. The album features guest vocals from Stevie Nicks of Fleetwood Mac on the duet "Insider." The Heartbreakers also recorded the hit "Stop Draggin' My Heart Around" for Nicks' album Bella Donna around the time Hard Promises was recorded. Long After Dark is the fifth album by Tom Petty and the Heartbreakers, released in November 1982 on Backstreet Records. Notable for the major MTV hit "You Got Lucky", the album was also the first to feature the late Howie Epstein on bass and harmony vocals. Epstein's vocals are evident throughout the album, most notably on "Change of Heart". From this point on Epstein's vocals became an integral part of the Heartbreakers' sound. In addition, it was the first Heartbreakers album to feature a real synthesizer on record. There was a song recorded for this album called "Keeping Me Alive", which Petty himself is very fond of but the producer, Jimmy Iovine, disliked. Petty has expressed that he feels the album would have turned out better if the song had been included on the album. "Keeping Me Alive" was eventually released on Petty's 1995 box set compilation Playback. Full Moon Fever is the first solo album by Tom Petty, though it features contributions from members of his backing band the Heartbreakers, notably Mike Campbell, along with Roy Orbison and George Harrison - who would later join Petty, Jeff Lynne, and Bob Dylan in the Traveling Wilburys. The record shows Petty exploring his musical roots with nods to his influences. 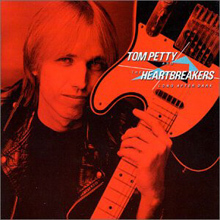 The songwriting is mainly collaborations between Petty and Lynne, who was also a producer on the album. The album became a commercial and critical success peaking at Number 3 on the Billboard 200 and being certified 5× platinum in the United States and 6× platinum in Canada. 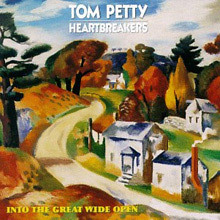 Into the Great Wide Open is the eighth studio album by American rock band Tom Petty and the Heartbreakers, first released in July 1991 (see 1991 in music). The album was the band's last with MCA Records. The album was the second Petty produced with Jeff Lynne after the success of 1989's Full Moon Fever. The first single, "Learning to Fly", became his joint longest-running number one single (along with "The Waiting" from 1981's Hard Promises) on Billboard's Mainstream Rock Tracks chart, spending six weeks at the top spot. The second single, "Out in the Cold", also made #1 on the Mainstream Rock chart, albeit only for two weeks. The music video for the title song starred Johnny Depp, who had moved to Los Angeles as a teenager to seek rock stardom, along with Gabrielle Anwar, Faye Dunaway, and Matt LeBlanc. 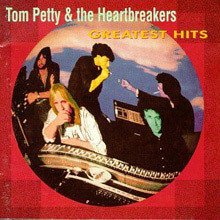 Greatest Hits is a compilation album by Tom Petty and the Heartbreakers, released in 1993. It is Petty's best-selling album to date and was certified 10x Platinum (Diamond Award) by the RIAA on November 13, 2003. The single "Mary Jane's Last Dance" became one of Petty's most popular songs, reaching #14 on the Billboard Hot 100 and #1 on the Billboard Mainstream Rock Tracks chart. The other new song on the album is a cover of the Thunderclap Newman hit "Something in the Air". The album contains no songs from 1987's Let Me Up (I've Had Enough). 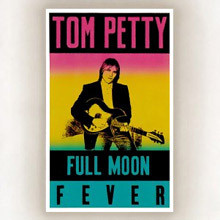 However, three songs from 1989's Full Moon Fever were included; despite the album's technical status as a Tom Petty solo album, it contained contributions from several members from the Heartbreakers, thus legitimizing its inclusion on this compilation. As of September 2011, Greatest Hits had sold 7,464,000 copies in the United States, making it Tom Petty's best-selling album.